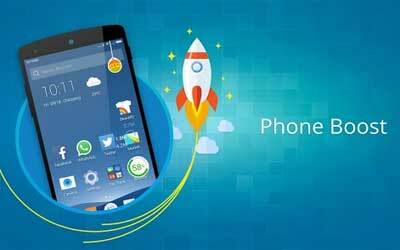 Previous version CM Launcher 3.47.4 apk for Android will help you to downgrade or install older app easily. This is one of the best Personalization apps. This app is called as the most lightweight launcher which is available for Android. It only comes with 1MB size. Because it comes with lightweight design, it means that people will be able to access the apps as well as features on the device much faster. Once people install this app, they will find the home screen which looks new and minimal. There are some different things which can be found on the home screen after all. Various kinds of CM Tools can be found on the home screen including the Power Saver as well as Data Usage apps. People will be able to get very great support from Power Saver because many people have very great worry about the battery life. By using single click, the battery life can be extended very easily. Users will also be able to kill the process of memory hogging with Booster feature. This feature can be activated even without any need to unlock the device. People will also find very attractive All Apps tool. It is useful for providing people with the list of apps which is arranged alphabetically on the device. Customization is also possible for this app. SLEEK – Accelerate your startup speed by 100%! The best android launcher i’ve ever use. Very simple, lightweight, but still have many personalization.